Erdmann Exteriors & Construction has designed and built many room additions, gourmet kitchens, luxury baths and fabulous outdoor spaces in Wheaton. We have also designed and replaced roofs, siding, windows and doors, keeping the homes’ exteriors in excellent condition while improving their curb appeal. Why do Wheaton homeowners hire Erdmann for home improvements? They trust us to deliver an excellent design solution, quality workmanship and products, and outstanding customer service. We communicate openly and complete projects on time. When you’re ready to modernize the appearance and function of your home, let the Erdmann professionals turn your visions into reality. We do a lot of interior renovation work for a couple of reasons. When a homeowner’s lifestyle changes, the home may no longer meet the family’s needs. Homes that have not been modernized for decades are candidates for an upgrade. The thought of a gourmet kitchen, home theater or exercise room seems like a good idea. Regardless of your reason for home interior remodeling, Erdmann makes your dreams come true. 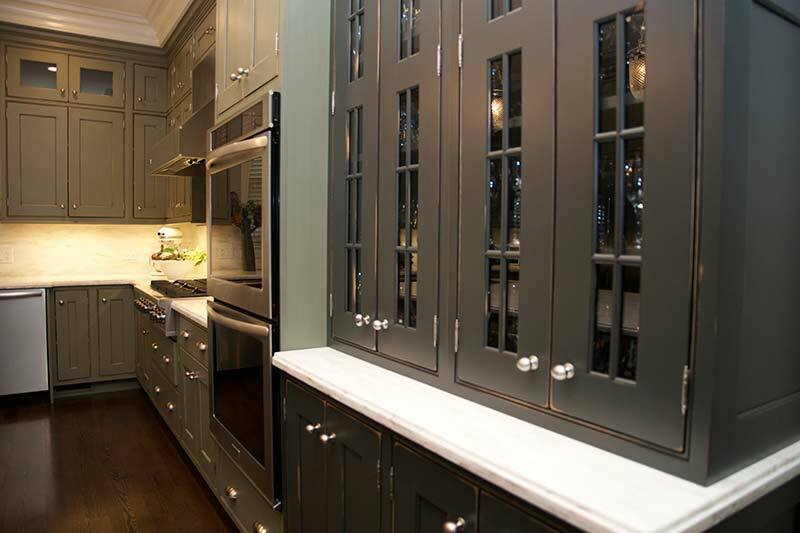 Our kitchen and bath remodels, additions and interior renovations add beauty, luxury and functionality to your home — without the stress of the typical remodeling job. Erdmann guides you through the entire process, from design and build to project closeout, without disrupting your life. We coordinate with all contractors and tradesman so you don’t have to. Our goal is to help you achieve the updates you want, while making the journey to your new home as enjoyable as possible. Winters in Illinois may be harsh, but summers can be wonderful! We design and build beautiful, comfortable outdoor spaces so you can enjoy relaxing or entertaining in your backyard. Creating a pleasant outdoor “room” just beyond your back door increases your home’s usable space while bridging the gap between the interior and exterior. Erdmann designs and builds outdoor kitchens, living and dining rooms, and patio covers and cabanas. We ensure that your new outdoor space blends with and complements your home’s style and colors, as well as your personal taste. As always, we use only the best products and highest-quality workmanship, so you enjoy your lovely outdoor space for years to come. Keeping your home’s exterior in excellent condition is one of the most important things you can do to protect your home against the harsh Wheaton elements. Exterior systems like siding, windows, roofing, gutters and doors work together to keep the elements out, but the failure of any one of them can lead to costly repairs throughout the house. Erdmann has provided siding, roofing, and windows and door installations in Wheaton for the last 30 years. We know the area, and we know exactly what it takes to protect you from all the challenges Illinois weather throws at your home’s exterior. When you hire us, you get all our expertise and training in this specific area of your home. To back up our outstanding services, we offer a LIFETIME Workmanship Warranty on exterior remodeling workmanship, which means that if you find an issue with our work, we’ll come back to make it right!